Ron Green graduated from Murray State University in Murray, Kentucky with a Bachelor of Science in Economics and minor in Physics in 1978. He then attended the University of Kentucky College of Law, graduating in December of 1980 with a J.D. While attending the University of Kentucky he was a member of the Kentucky Law Journal staff and the International Moot Court team. Prior to Green Chesnut & Hughes PLLC, he began his legal career by joining the Lexington office of what was then Boehl, Stopher, Graves & Deindoerfer as a law clerk in 1979, was employed as an associate attorney in 1981, and was a partner in the firm from January of 1986 to June of 2010. 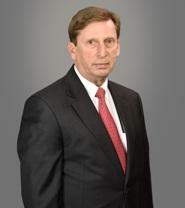 He was named managing partner of the Lexington office in 2005. Ron has tried a wide variety of cases to judges, juries and arbitrators in a wide variety of forums. He has likewise handled a large number of appeals in the Kentucky Court of Appeals, Kentucky Supreme Court and the Circuit Courts for the Fifth and Sixth Circuits. He is admitted to practice before all Kentucky Courts, United States District Court, Eastern and Western Districts of Kentucky, Fifth and Sixth Circuit Courts of Appeals, and United States Supreme Court, and has been admitted pro hac vice in foreign jurisdictions. Ron's current practice includes aviation, product liability, professional negligence, extra-contractual liability, general negligence litigation and appellate practice. Between 1985 and 1990, he was engaged as an adjunct professor teaching legal writing at the University of Kentucky College of Law. He has also taught Health Care Law at Eastern Kentucky University in the past. In 2006, he was appointed as a Special Justice to the Kentucky Supreme Court and served in that capacity with respect to the matter styled Fletcher v. Graham, 192 S.W.3d 350 (Ky. 2006). He served as a member of the Kentucky Executive Branch Ethics Commission from 2007 to 2012, and as Chairman for two of those years. His published works include: Green, Appellate Practice: Placing the Cart Before the Horse, 42 Kentucky Bench & Bar 17 (1980); Comment, The Obscenity Defense to Copyright Revisited, 69 Ky. L. J. 161 (1980-81); Jenkins & Green, Torts Survey, 69 Ky. L. J. 663 (1980-81); Kentucky Civil Practice After Trial, Ch. 8 (1990); Green, Torts Survey, 86 Ky. L. J. 907 (1997-98); and Green, Due Process Limits on Punitive Damages: A Primer, January/February Fayette County Bar News 6 (2007). He frequently speaks at seminars on various subjects relating to insurance defense practice and issues. He also maintains a web site that is intended to assist those interested in the development of Kentucky personal injury and insurance law, which may be found at http://www.rongreen-law.com. He is a member of the Kentucky Bar Association, Fayette County Bar Association, Defense Research Institute, Kentucky Defense Counsel, the Professional Liability Defense Federation, The Claims and Litigation Management Alliance (President of Kentucky Chapter), International Association of Special Investigation Units, and National Association of Forensic Economics. He has received General Civil Mediation Training by the Administrative Office of the Courts. He is also a Certified Litigation Management Professional. He was born in Spokane, Washington and as an Air Force "brat" resided in various parts of the world prior to landing in Kentucky in 1972. He resides in Lexington with his wife and three canine children.